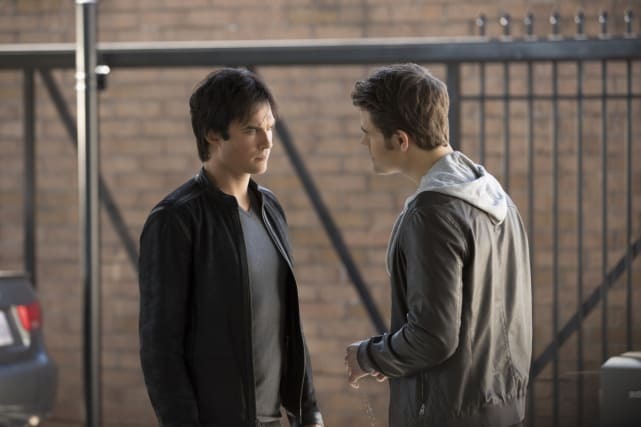 A humanity-free Stefan and a barely hanging on Damon are just the energy we need when The Vampire Diaries Season 8 Episode 8 airs. And that's exactly what we're going to get. 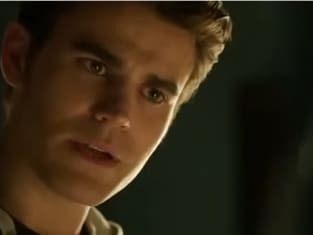 When last we saw Stefan Salvatore he was on his way to deliver up souls to Cade in exchange for his eventual freedom. Damon, of course, was driving their muscle car to Hell. The brothers are making a stop in anger management classes in "We Have History Together," directed by none other than Ian Somerhalder. If there's one place they're bound to find some twisted people, it's probably there. Meanwhile, Sybil forces Caroline into a little bit of servitude. It seems there's a mystical object Sybil needs in order to protect herself and she wants Caroline to find it. Sybil takes over teacher duties at Mystic Falls High School. She *does* know a thing or two about ancient history and Greek mythology, so she's totally a natural. 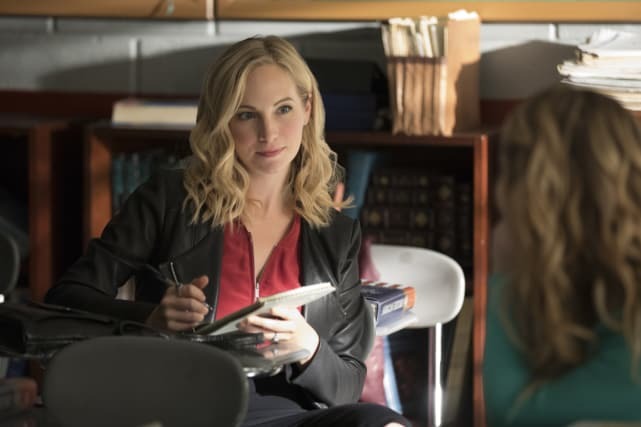 Sybil has Caroline under her thumb in The Vampire Diaries Season 8 Episode 8, but what does Ric's old classroom at the high school have to do with it?